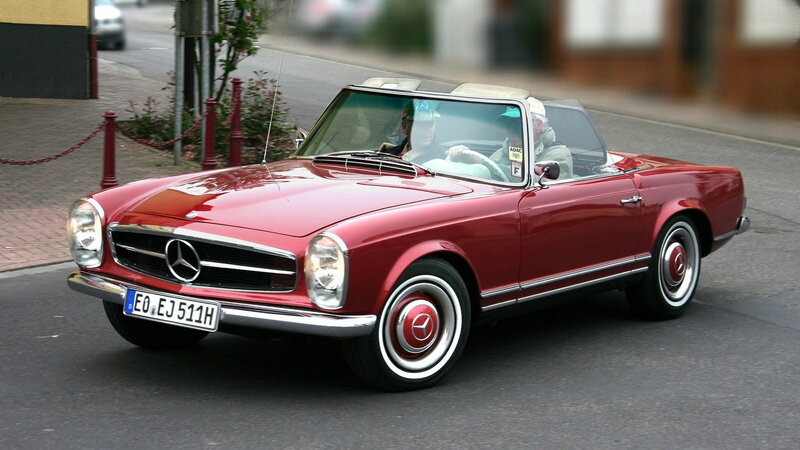 The Mercedes convertibles of the '60s are best known as Pagoda, because of its unique hard-top design. They are quickly becoming one of the most sought-after classics and for good reason. Coming into existence as the proud successor to the ultra-successful and iconic Mercedes-Benz 300SL of the 1950s, the body style codenamed W113 was born with a lot of weight on its shoulders. 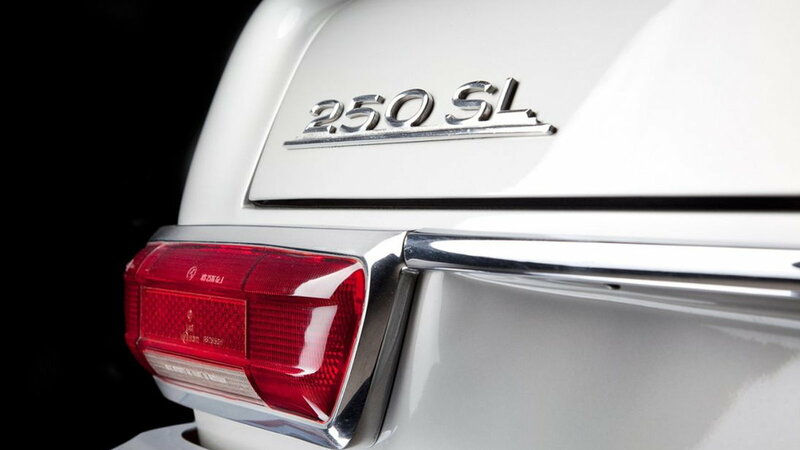 The SL model produced between 1963 and 1971 has since become a legend of its own. Today, these gems are very sought-after, and many of them live in prestigious collections. The nickname 'Pagoda' comes from the daring styling feature of the roof of the car. The roof was designed with a distinctive concave hard-top which inspired the nickname, and the car has often simply been referred to as Pagoda since. Of course, following in the footsteps of what many consider the first ever supercar was no easy feat. By '63, Mercedes had come out with more affordable versions of the 300SL with convertible models in Europe and North America. That is when the legacy of the SL class started taking shape into what it is today. 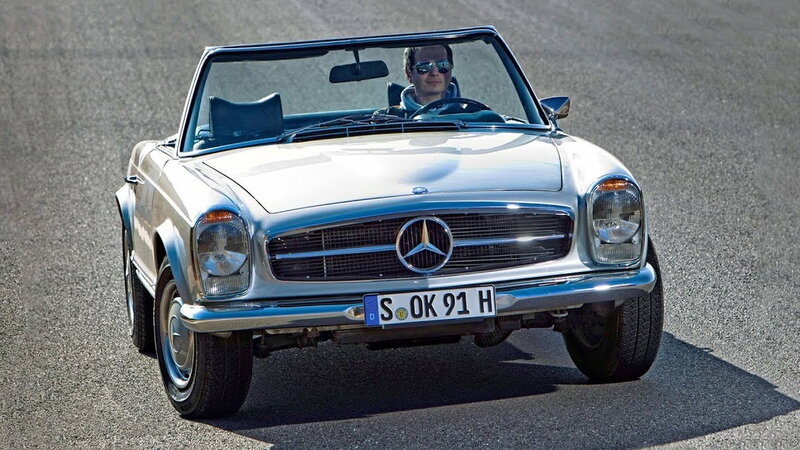 With Mercedes introducing the W113 as the new SL, and the W111 as the SLC class, the German indicated a path carved for the styling future of the brand. >>Join the conversation about the Pagoda SL right here in MBWorld. The masterpiece of designers Béla Barényi and Paul Bracq, and under Mercedes chief designer of the era, Friedrich Geiger, the styling of the W111 brings an undeniable element of soulfulness to the 'form follows function' aesthetic. But as with any successful automotive design in history, the simplicity of the overall design is met perfectly with the intricacy of the finer details. In closer examination, you can easily see the great attention to detail in every trim piece, every line, and every seam. The design of the Mercedes SL Pagoda is very simplistic, easy to understand, and memorable. But while that may be what gets us intrigued, what truly makes us fall head-over-heels in love with this beauty is the amazing experience of driving one. If you have had the chance to cruise around in a Pagoda with the top down in beach weather, you know exactly what I'm talking about. The gorgeous dash, instrument clusters, and steering wheel, along with the low beltline and upright windshield, and looking out over the long hood all come together for a driving feel unlike that of any other car ever. There were three different engines offered with the SL throughout the 9-year production span. First, there was a 2.3L l6 producing 150HP. Between '66 and '68, a 2.5L engine was offered. And finally, from '67 till the end of the car's production, the 280SL came with a 2.8 engine with 170HP. The most significant aspect of this model's engineering, however, was in the safety department. The W113 was the first sports car that was designed with a lot of modern-day safety standards in place. A rigid cell is built to keep the occupants safe, with the rest of the frame consisting of crumple zones. And the interior space is surrounded by more rounded volumes and less sharp objects. 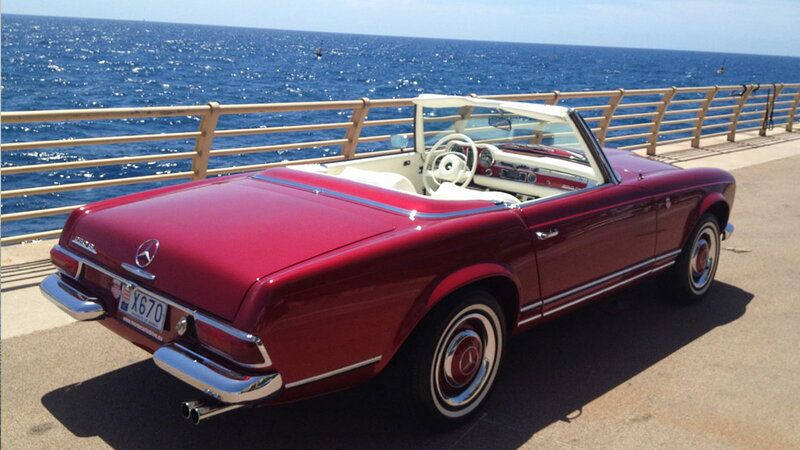 There is no doubt that even to this day, few cars can beat the feeling that the Mercedes SL Pagoda gives you when driving by the Pacific Ocean in sunny California. But as with any pioneering Mercedes vehicle, the legacy of the W113 lies in more than what meets the eye. 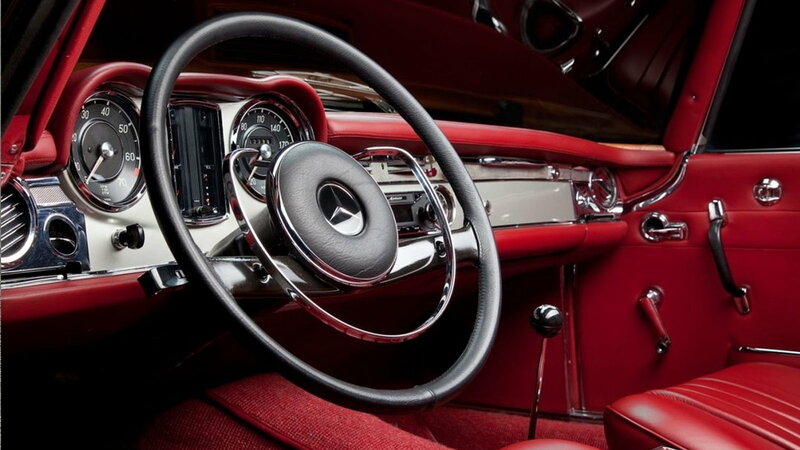 This design succeeded the legendary 300SL Gullwing, and with it, Mercedes-Benz managed to forge a path into the future and pioneer revolutionary vehicle safety technology. This is a testament to the great success of the beautiful SL Pagoda and Mercedes-Benz. Interestingly, this gem was succeeded by another legend of the automotive industry, the R107 SL, which went on to become one of the most successful Mercedes-Benz designs in history.